Kind of impractical, but SO pretty. 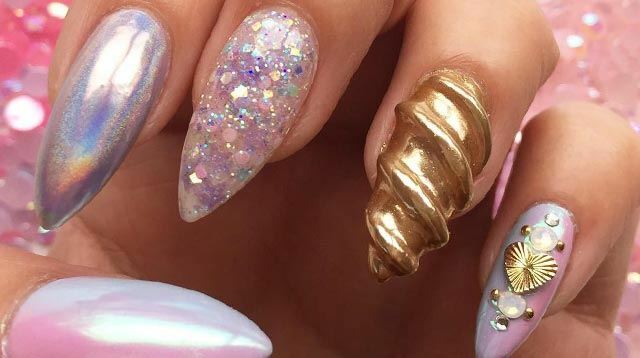 We knew it was only a matter of time before someone had the brilliant idea of putting unicorns and nail art together—and guess what, Cosmo girls? That day is now. Cosmo UK drew our attention to Melbourne-based nail salon The Super Rad Nail Sisters’ dreamy creations, and we’re already determined to book a flight to Australia, LOL. The highlight here is obviously the unicorn horn-shaped nail. Contact lens wearers, you might want to stay away. And just like that, we’re one step closer to fulfilling our unicorn dreams.